Moss spore capsule. 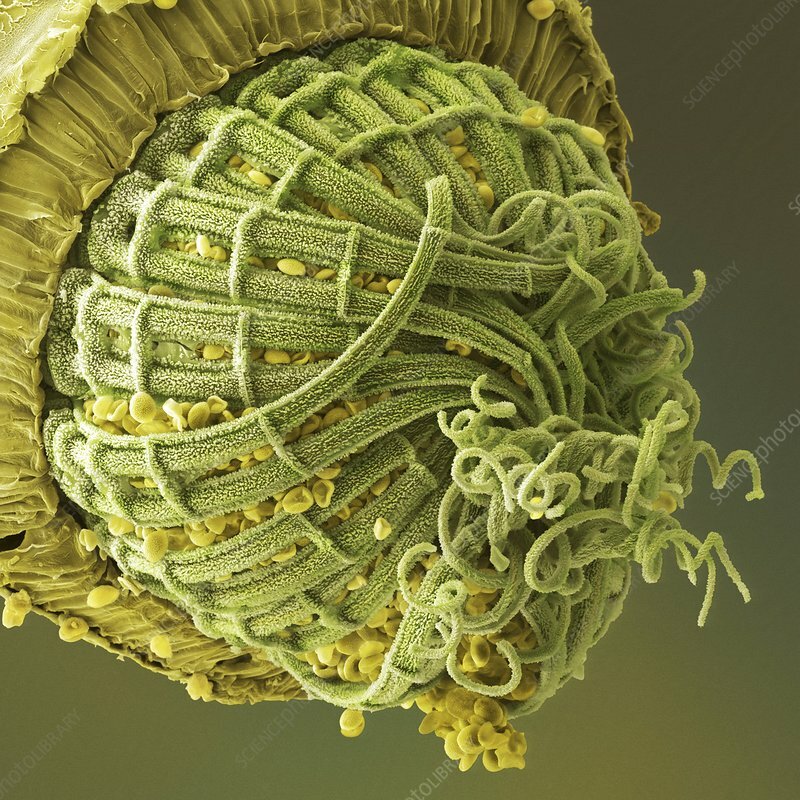 Coloured scanning electron micrograph (SEM) of part of the opening mouth of a capsule (spore case) of moss. Mosses reproduce by means of spores at certain times during their life cycle. The spores are dispersed from the mouth of the capsule, dispersal aided by the wind. Magnification x345 at 10cm wide.